Dip N Dab’s, the strongest dabs available on the market today! 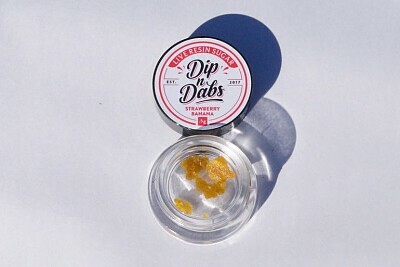 Dip N Dab’s is currently offered in (2) different flavors and is the only Live Resin with zero secondary solvents or additives. With lab tested results all over 81% these dabs are clean, powerful and effective. More flavors soon to come!! !